An Auto City Certified Car Delivers Quality at Unbeatable Prices! The vehicle meets or exceeds a set of criteria. The combination of quality and price delivers the most value to you. Get a better car for less money than you thought possible. The only cars that have a chance of becoming an Auto City Certified car are late-model, low-mileage vehicles in tip-top shape. We conduct a thorough examination of the vehicle to make sure it meet our set of standards. Anything that doesn’t meet our criteria will be repaired or refurbished until it does, and if it can’t be, then the vehicle will not carry the Auto City Certified label. After the reconditioning is completed, we go back and make sure the vehicle meets or exceeds our mechanical and cosmetic certification standards before giving it the Auto City Certified seal of approval. Once we’re satisfied that a car is worthy of the Auto City Certified label, we assign it a super-competitive price based on market research to make sure you’re getting a great deal. Auto City Certified vehicles come with a 6-month powertrain warranty. Buy with confidence and peace of mind! WHAT IS AN AUTO CITY CERTIFIED CAR? No branded titles, such as salvage, rebuilt, lemon, etc. Each inspected component should function according to the manufacturer’s standards and/or applicable guidelines for the vehicle’s age and mileage at time of certification. What exactly is an Auto City Certified vehicle? An Auto City Certified vehicle is one that meets a set of our proprietary standards developed to set apart used cars that are in better condition than most. 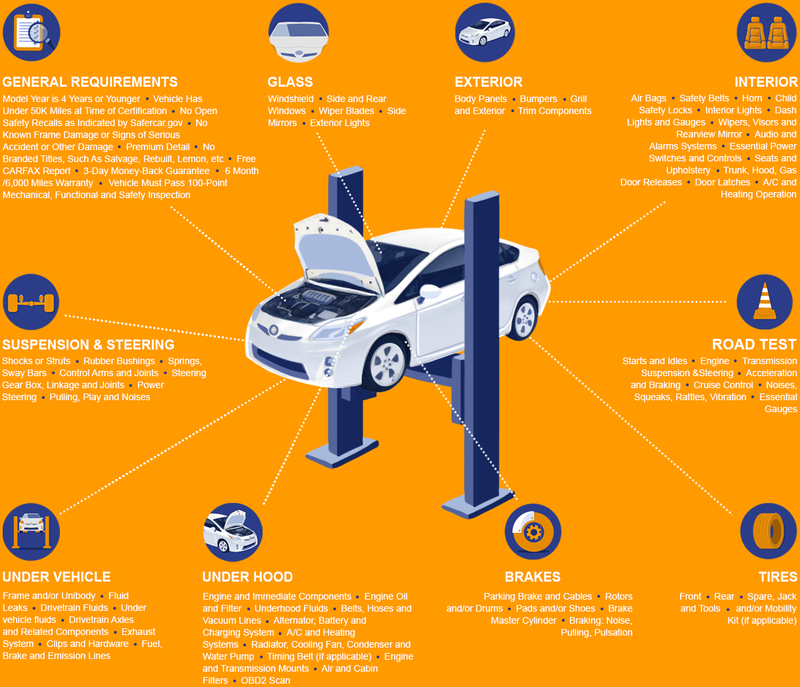 How does a car qualify for the Auto City Certified label? A vehicle has to meet our certification criteria and go through our certification process that consists of these steps: selection, inspection, reconditioning, quality control, market research and pricing. Why would I bother considering a certified car? An Auto City Certified car offers the ultimate combination of price and quality and comes with a 6 month warranty, 3-day money-back guarantee and a detailed inspection report. What makes a Auto City Certified car better than non-certified used cars? What you get with an Auto City Certified car is the peace of mind that it has been put through its paces with a multi-point inspection and reconditioning process to make sure it meets the standards for carrying the Auto City Certified label. Find out more about Auto City’s certification standards here. Each Auto City Certified vehicle comes with a detailed inspection report, 6 month warranty, and a 3-day money-back guarantee. Does an Auto City Certified car cost more? Not at all! We price cars based on current market and our goal is to be a price and quality leader. Certification is a great benefit. However, if we price a car too high, even if it is certified, chances are that you will not even find this vehicle among thousands of other used cars for sale. We have to stay competitive all the time! We do not increase a vehicle’s price due to certification. What other benefits come with an Auto City Certified car? An Auto City Certified car usually carries more benefits than just peace of mind. An Auto City Certified car comes with a 6-month warranty for added protection, a very attractive price and variety of financing options for all credit types! Please note that the Auto City Certified program is based on a proprietary set of standards created by Auto City. Each automobile manufacturing company has its own set of CPO standards used by its own dealerships. The Auto City Certified program should not be confused with any manufacturer’s CPO program. Each Auto City Certified vehicle comes with a detailed report of inspected components.